Ramona Cox is an Associate Athletic Director with Detroit PAL. She is responsible for Detroit PAL’s girls programming including volleyball, softball and girls basketball as well as new girls initiatives programs like etiquette training. Ramona is a graduate of the University of Michigan where she played on the women’s volleyball team. 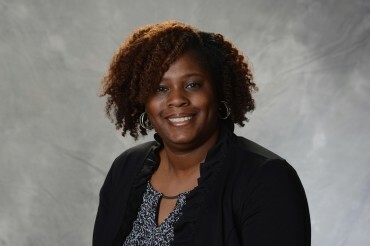 She later received her Masters degree in Sports Administration from Wayne State University and obtained her Ph.D. in Kinesiology with a concentration in sport psychology from Michigan State University in 2014. Her research interests include sports based youth development and increased sports and physical activity opportunities for girls. Ramona has been afforded a variety of exciting experiences through her involvement in sport and it is her passion to provide those same opportunities to the girls she works with. In addition to her duties at Detroit PAL, Ramona is also the head varsity volleyball coach at Cass Technical High School and is a coach with Instant Replay Volleyball Club.